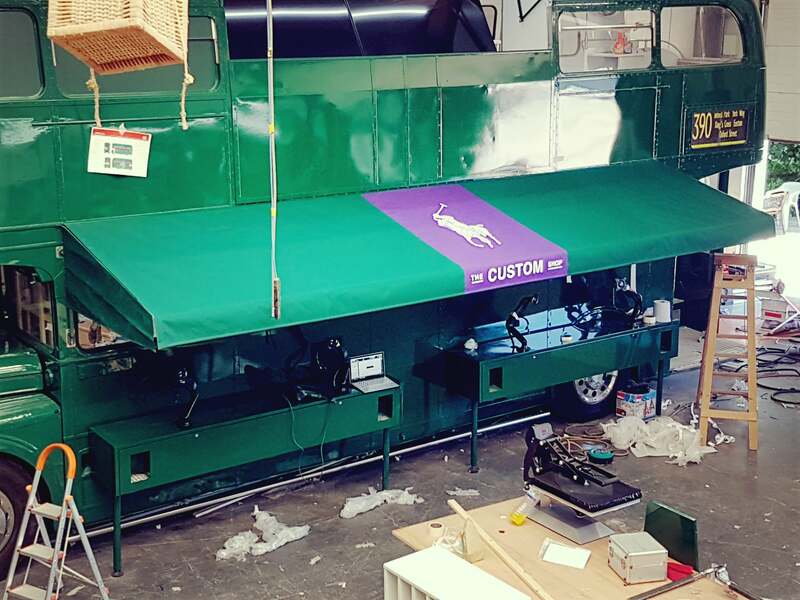 If you are heading to Wimbledon SW19 for the tennis, look out for The Custom Shop from Ralph Lauren. 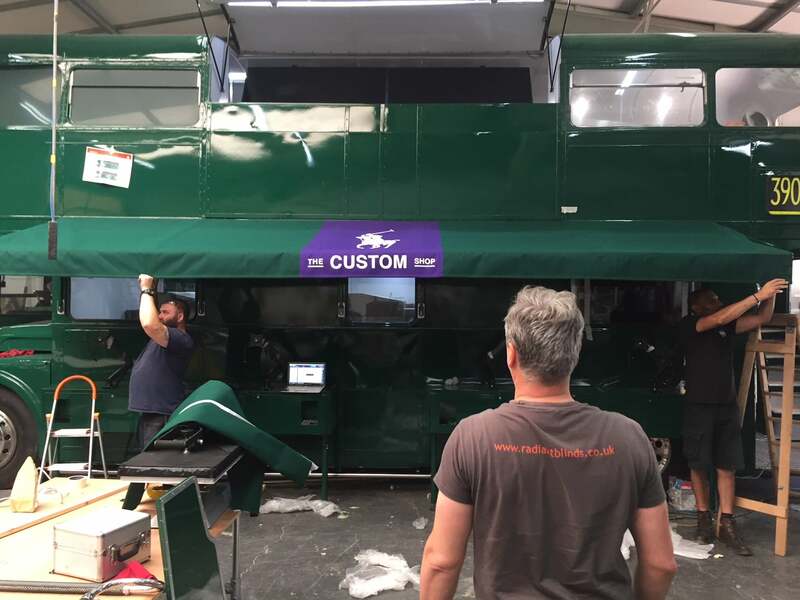 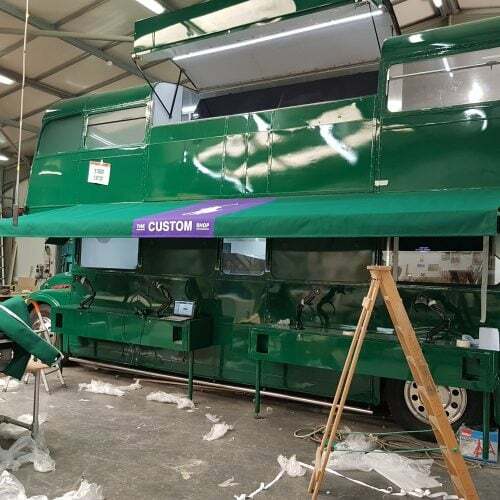 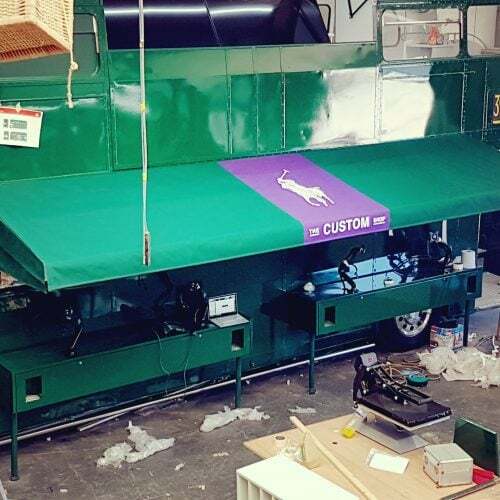 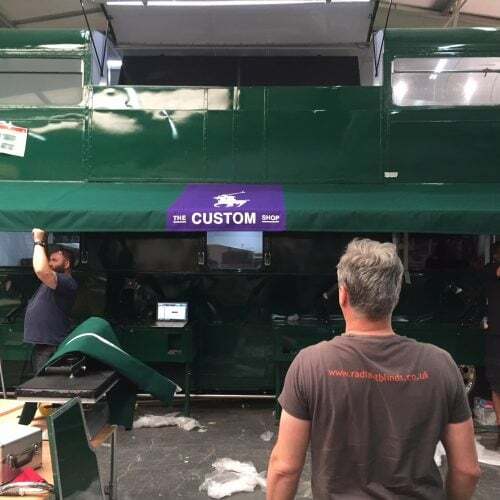 We made a bespoke cover for their removable awning attached to the side of this old London Bus. 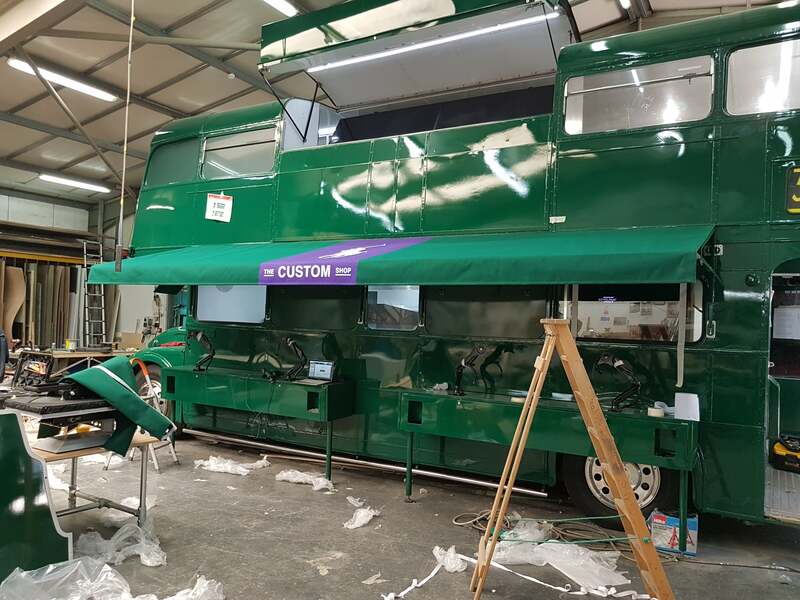 If you have specific needs or designs for your projects then get in touch with one of our sales executives.